Oliver Watson works as a volunteer at an animal rescue centre. He is nineteen years old and unemployed. More importantly, though, Oliver is an animal lover who is gaining useful experience for a career with animals at the same time as helping unwanted or abandoned domestic pets. There is no typical day at rescue centres, but there is a routine that the animals can depend upon. This is one of the important steps in their rehabilitation and re-homing-routine equals security. Oliver spends as much time as he can at the rescue centre and so is building his animal-related work experience as he learns more about the centre’s cats, dogs, two aged ponies and four goats. He helps with fundraising and open days too and attends college one day a week to study Animal Care. Different tasks are tackled at different times throughout the day with a regular timetable. Observation and awareness of each animal’s condition is noted by workers and volunteers alike, as they work with and around them. Once the morning’s greetings and visual checks are complete, kennels, catteries and other sleeping areas are cleaned and water bowls refreshed. Breakfasts are prepared, relevant drugs administered by vets where necessary and the animals are left to settle while staff and volunteers have a cuppa and a morning meeting. Volunteer dog walkers’ exercise those dogs that are able to walk on a lead and spend time playing with the animals. The play is structured to introduce and promote basic obedience training as this helps the dogs’ communication skills and understanding and trust of people, therefore improving chances of re-homing. Grooming is another daily task that encourages trust and bonding. The busy office is run by volunteers with clerical/administrative experience because there is a lot of paperwork involved. Accurate records are kept for: every single animal, rosters for staff and volunteers, home checks for potential re-homing, diary of events and appointments, income and expenses, orders of medicine, food and equipment...it goes on! 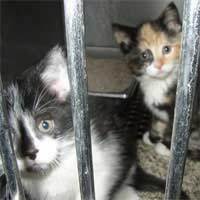 Routine procedures, like neutering and spaying, immunisation, worming and flea-treatments are carried out by, or under the supervision of where appropriate, the rescue centre’s veterinary surgeon. Medical rounds are part of the centre’s routine.